As I sit down to write this post I realize that it is mid-July. Wait. Summer, where are you going?!? This summer has been a busy one for me with lots of PD, teaching a summer camp, and working on non-school related things. I’ve got to remember to tell myself to slow down for a few days and recharge. Speaking of slowing things down a bit, I’m unveiling a brand new non-fiction series today that I’ve been working on like a madman. Literally… Now that I can share this awesome-sauce resource with all of you, I think I can take a backseat to working for a couple weeks. So anyway, enough about that. Are you ready to see my brand-spanking-new non-fiction series? I hope so! But, I’m going to make you wait just a moment longer while I explain my inspiration behind it. 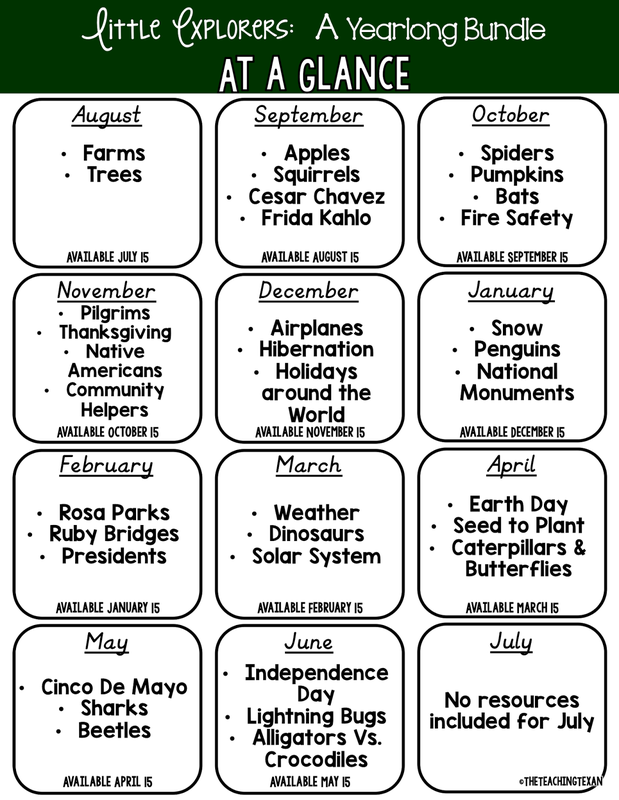 I’ve always loved science and learning about animals, gadgets, plants, etc. through non-fiction. When I started teaching I even wanted to just be a science teacher (OK, that may still be a dream of mine). I hoped to inspire my students to love science just as much as I do. 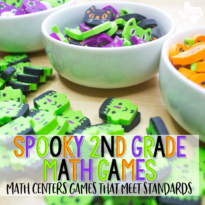 As I jumped into the classroom, planning math my first year, I quickly learned that my school and team did not do the best job possible bridging and connecting content areas. I will raise my hand and admit that I was part of that problem. 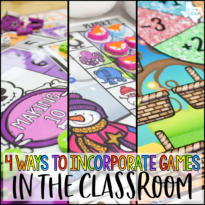 It just felt like an insurmountable task once we were knee deep in the school year to plan these big thematic units and gather all of the necessary materials. Fast forward to my second year teaching. New school, new grade level. 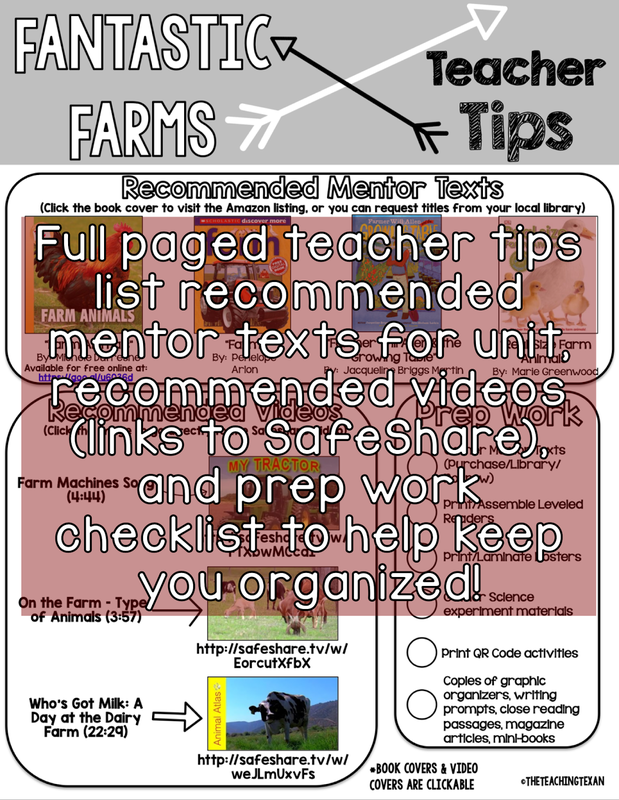 We, and I do mean my whole team, did a much better job of bridging content areas through thematic units. 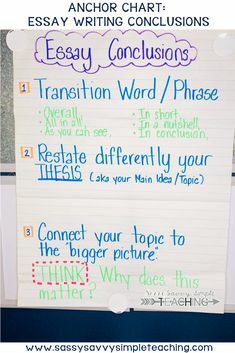 If our literacy unit was about the ocean, we spent time picking and connecting ocean-themed topics that fit the standards for science and social studies as well. But, it still felt like more could be done. 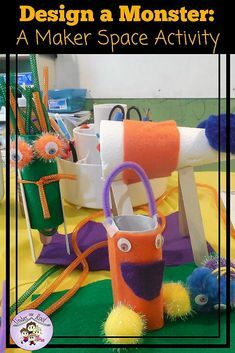 I could honestly see a difference in how my students connected with material. 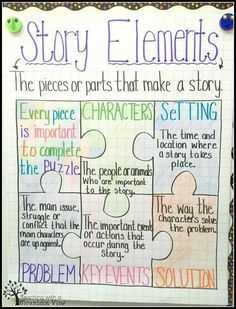 Because we were building and modifying kiddos’ schema across the board, they had an easier time fitting new pieces of knowledge into their existing framework. No more reading about automobiles in literacy block, then exploring plants during science, and being a good citizen during social studies. The choppiness of days like this literally made my stomach hurt. 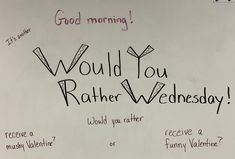 I’d love to know other teachers’ opinions. 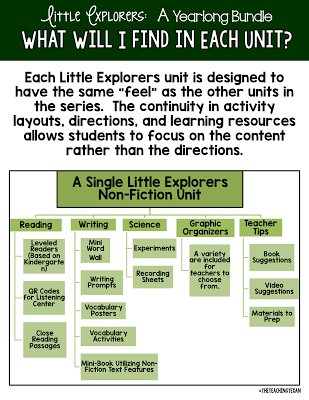 Does it shock you to know that there are schools that don’t use thematic units? Or, is that how your school plans? To make this already long story short, my goal is to make sure that I am prepped and ready for bridging content areas this year. I’ve got a road map for units through the year, and I’m spending my time on the front end putting together the resources I will use. 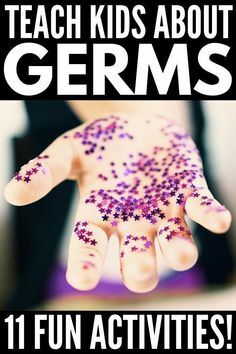 Lucky for you, I’m sharing them! 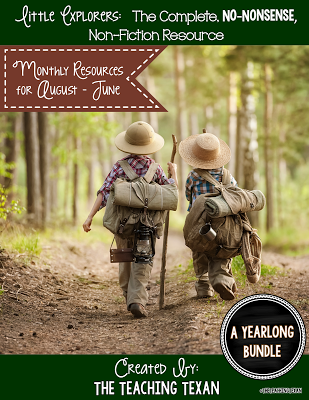 Please welcome [Little Explorers: The Complete, NO-NONSENSE, Non-Fiction Resource]! This is the road map for the year. So once I had my road map laid out, what next? 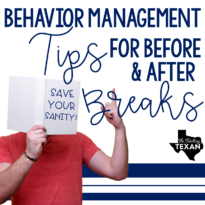 I figured ironing out the exact activities that needed prepped in advance vs. what could be done right before the unit was taught was important. 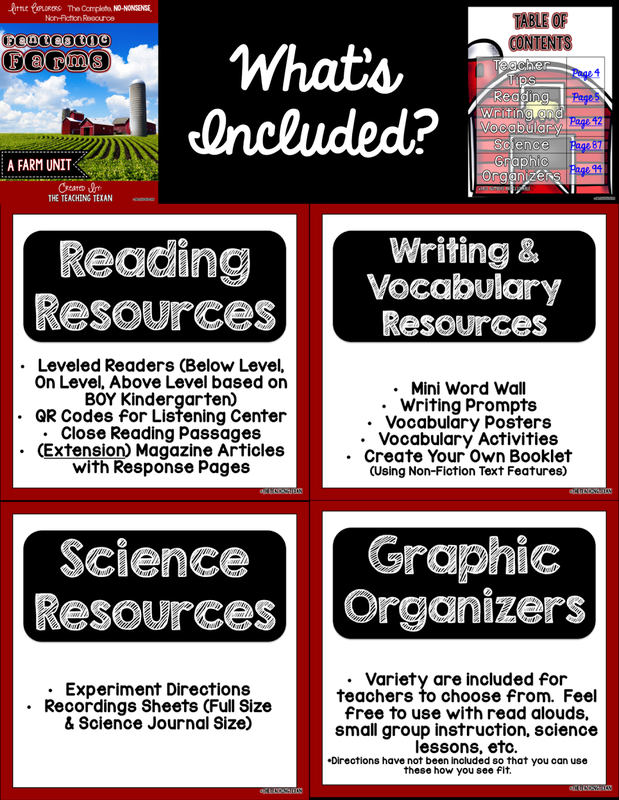 After reflecting a bit, I decided on a few must-haves for each unit that would help myself and other teachers easily connect reading, writing, science, and social studies. I really feel like having all of these items ready to go is going to make this aspect of my year such a breeze. 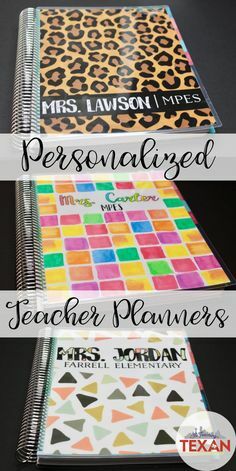 Now I can spend my time focused on working with my kiddos rather than that nagging feeling of everything I need to do to prep for the next day or next week. Now, I should be clear and state that the whole year isn’t complete yet. 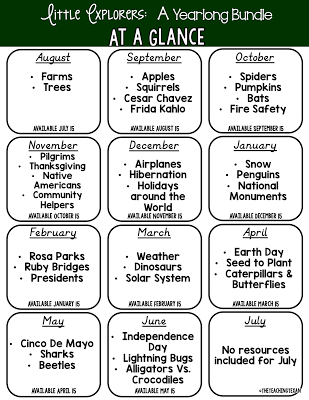 It’s a growing unit so each month on the 15th I will upload the resources for the following month. But enough with those details. Let’s dive into what all is inside a unit. I think we’ll use the [Fantastic Farm] unit that is featured for August as an example! 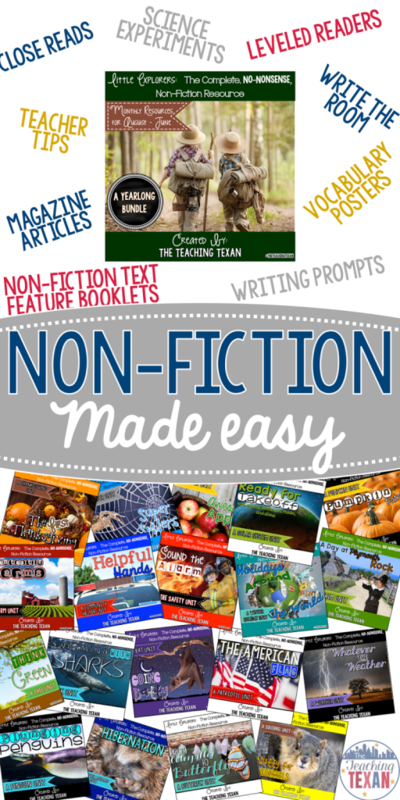 As you can see, there are a TON of resources included for each non-fiction unit. My hope is that myself (and others) will have plenty to pick and choose from as needed. I’m the king of trying to pull up all YouTube videos for the day, signing into each account, opening center rotation files, etc. in the morning before kiddos arrive. Nothing spells T-R-O-U-B-L-E more than having to log into a website or search for a video while kiddos sit by idly. 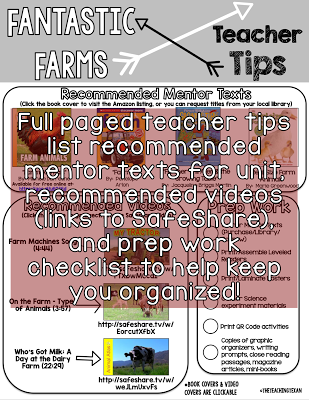 The Teacher Tips page is perfect for this because it lists recommended mentor texts, videos, and prep work. I even made the video pictures clickable for easier access! 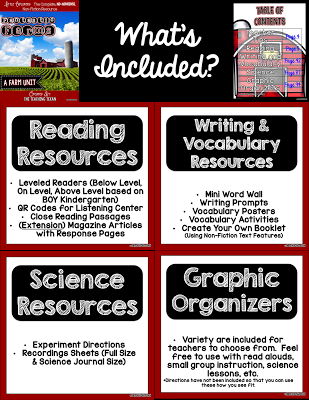 Of course I love building in the thematic unit during small group or Daily 5 time. 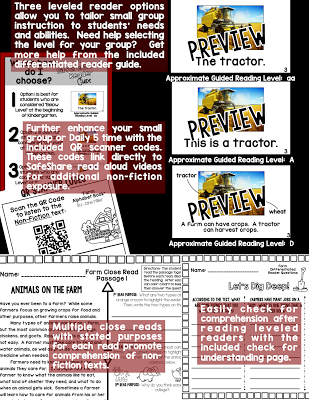 That’s why I included leveled readers for the topic accompanied with comprehension pages and close read passages. Who doesn’t love to look at beautiful, full-color pictures? That’s the inspiration for the magazine-style articles in each unit. 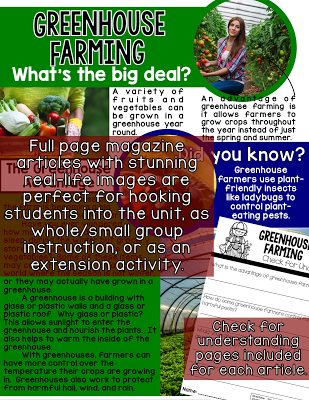 These articles are short bursts of information that dig deeper in the overarching unit. 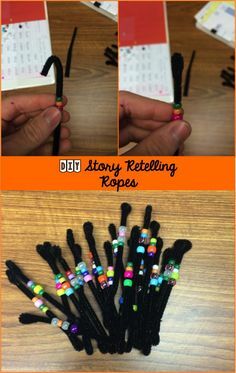 They are perfect for hooking students into a unit or as an extension. 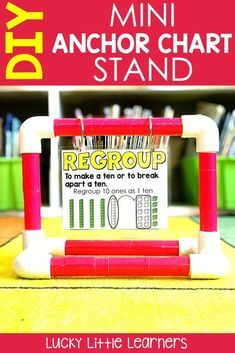 I can totally see these being perfect for small-groups, too! And let’s not forget the importance of vocabulary and writing. 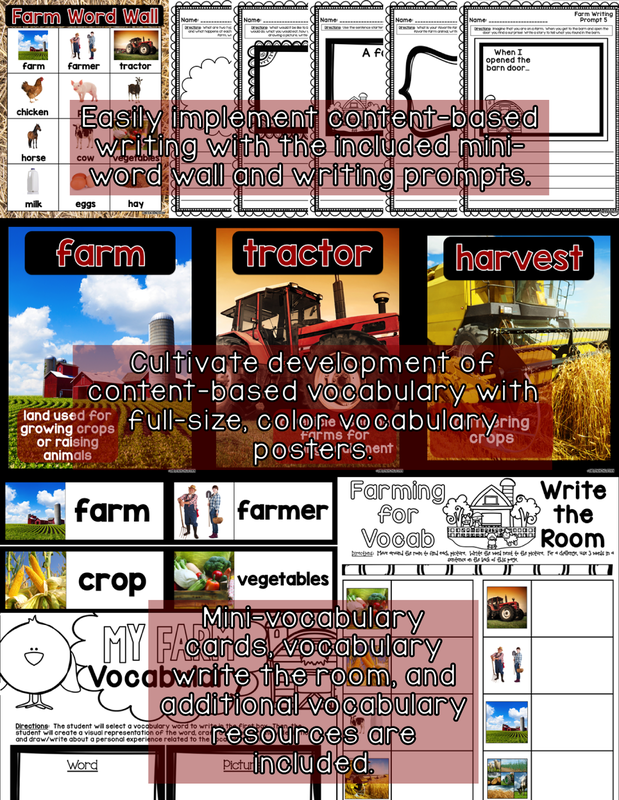 Content-related vocabulary can be such a struggle for kiddos, especially English Language Learners and students with little background knowledge of a topic, so there are many resources included to bolster content-related vocab. 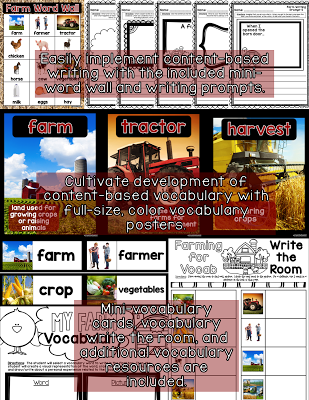 Didn’t I mention content-related vocab was important? 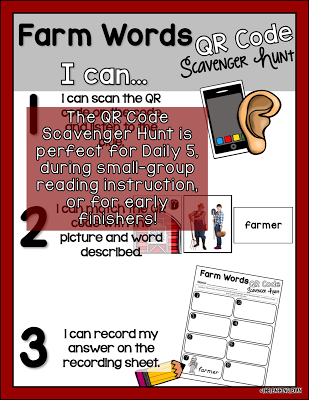 This QR Scavenger Hunt is sure to be a hit! 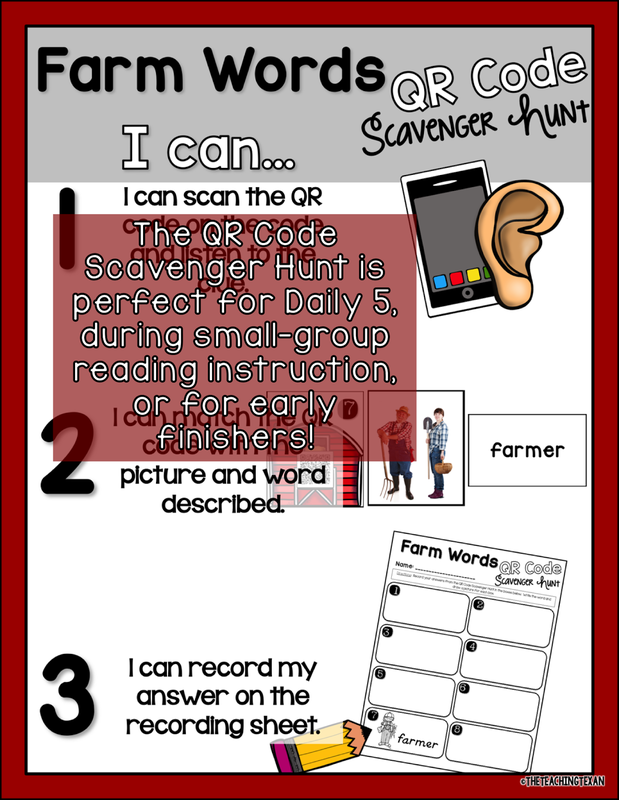 Last year was my first time delving into the world of QR codes, and my students LOVE using them! 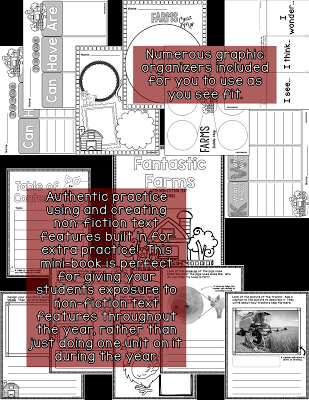 Plenty of options for graphic organizers are a must. 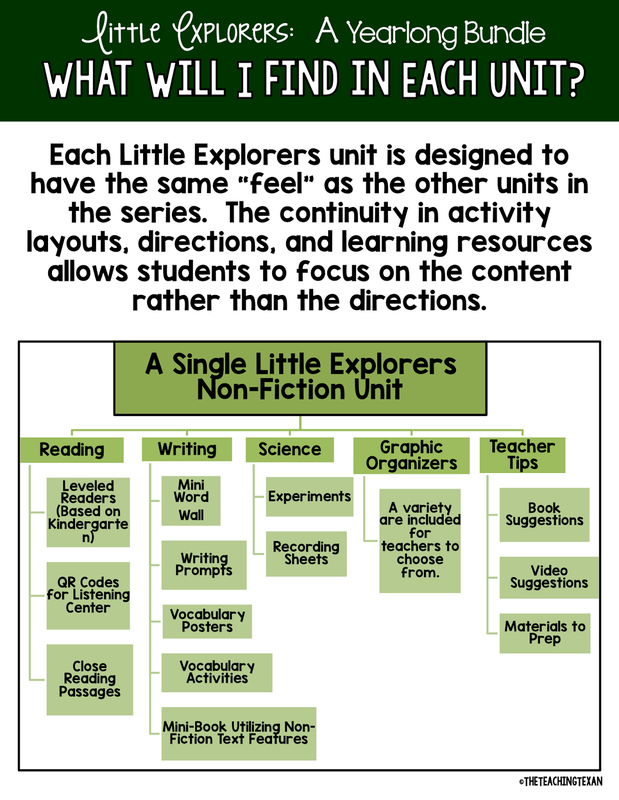 Another idea I considered while designing this unit was that many teachers/schools only teach non-fiction text and text features as a unit during one part of the year, especially in younger grades. But why? 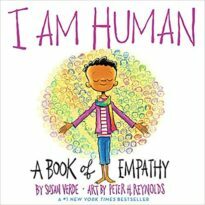 Why are we not providing our youngest kids plenty of exposure to non-fiction texts early on? 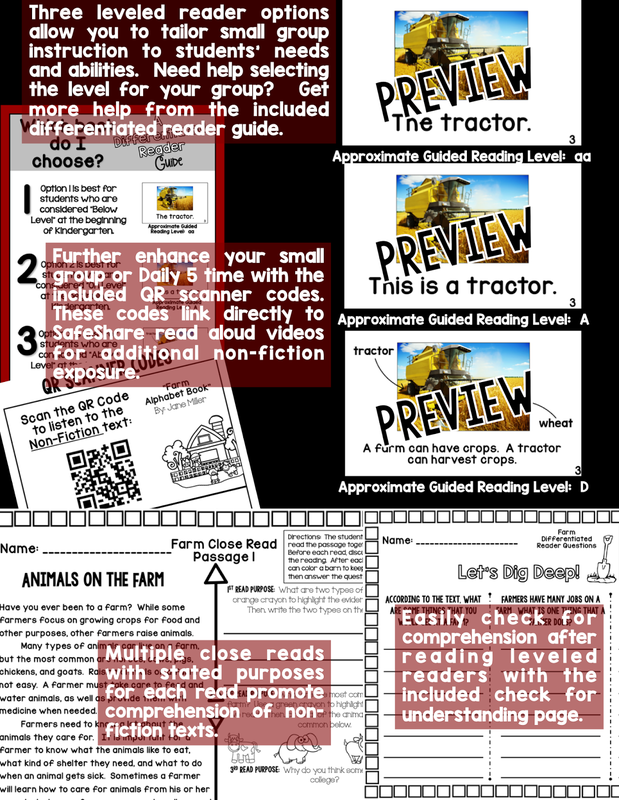 Well the included mini-book steps up the exposure and actually asks kids to utilize or create non-fiction text features. 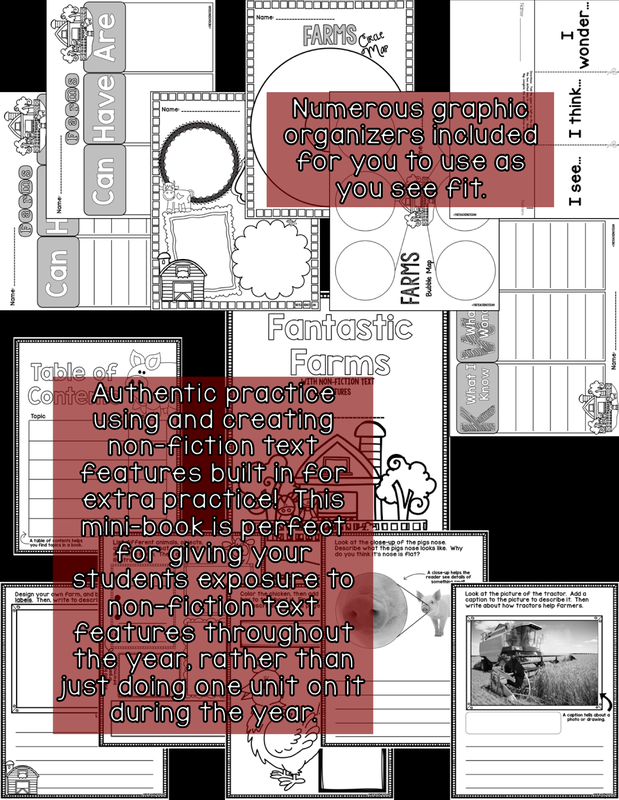 This way, using non-fiction text features is a daily, weekly, monthly experience rather than an isolated unit. 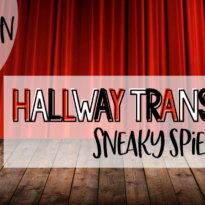 I imagine this will greatly impact my kiddos as they move into higher grades. Last but not least, are the engaging science experiments and recording sheets. 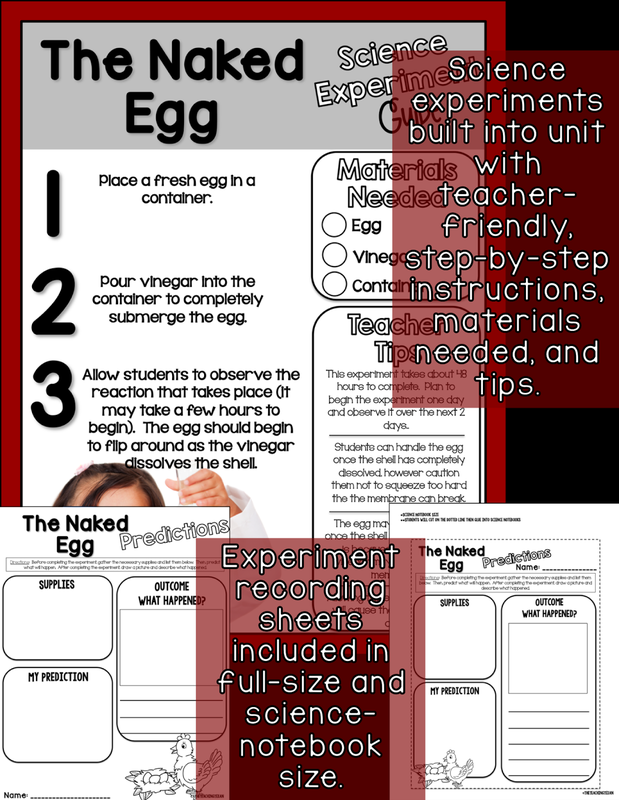 I tried to make these as straight-forward as possible and think through some helpful tips for completing the experiments. You can check out the current Little Explorer resources at the links below! There is much more to come in the future!